Happy February! I've got a lot of exciting things happening this month that I am super excited about! It's my birthday month, my bridal shower, and of course Valentine's Day! Since Valentine's is only ten days away I thought I'd share a couple affordable gift ideas. 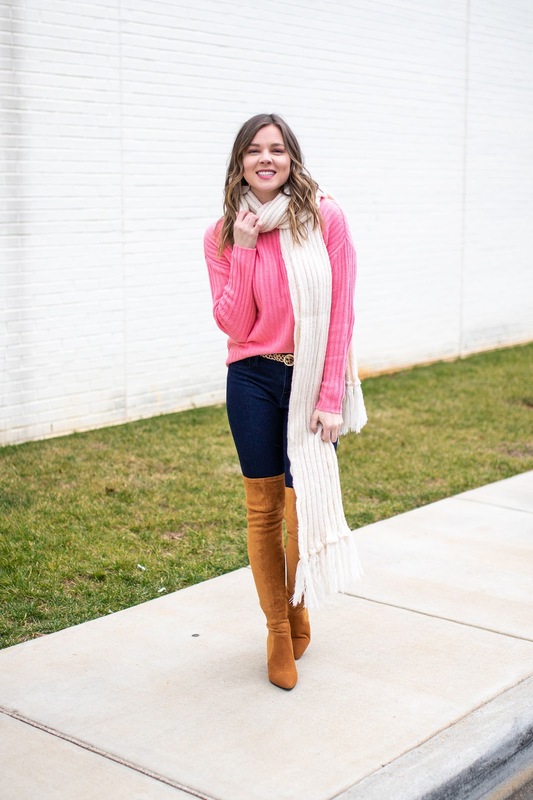 All the things I've rounded up would be perfect for your boo or your galentine! I tried to make shopping easy for your by linking everything in yellow! Initial Necklace from Amazon: These are super cute and so on trend right now! Yeti Coffee Mug: I have this and I LOVE it! Literally keeps your coffee hot for so long. Sheila Fajl Hoop Earrings: Can't go wrong with a good hoop earring and I totally recommend these! Adidas - these or these: Every girl needs a good pair of tennis shoes to wear with casual outfits or for working out! Her Favorite Perfume: This is different for everyone but I've linked my favorite in case you need an idea! Gift Card to Starbucks or Dunkin: Because who doesn't love coffee! Tommy John Underwear or Stance Underwear: this may seem strange but they are the softest underwear ever! They are about $30-$32 per pair, but Patrick swears they are worth it. Yeti Coffee Mug: I'm telling ya, this mug is perfect for anyone! Joggers: Every guy loves a good pair of joggers. His Favorite Cologne: Again, this is different for everyone but I've linked the one Patrick wears! Electric Razor: This is something he needs but probably doesn't want to spend the money on! A good razor really makes a difference. If you were in need of some ideas, I hoped this helped! Now on to the outfit - thought I'd go for pink this year instead of red and you can't go wrong with adding a pop of cheetah with this belt! Its so on trend this year, and i'm totally hear for it! 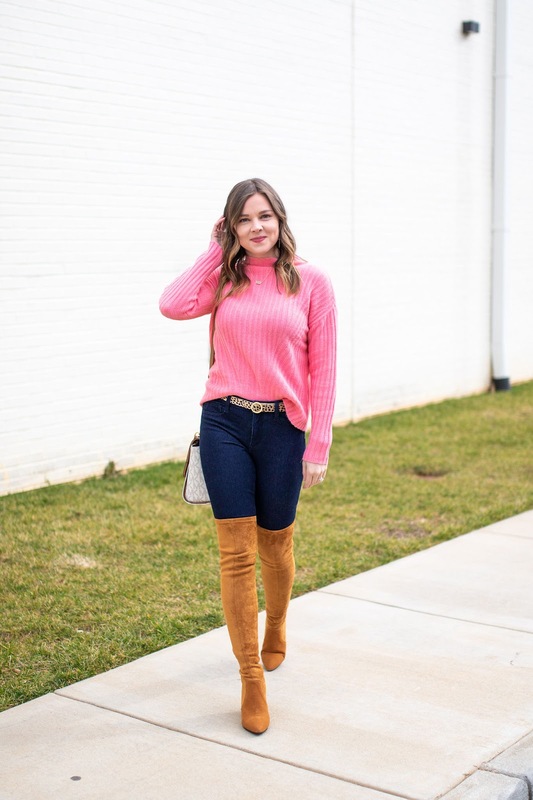 This sweater is so cozy and on sale for $22 from my favorite place, Old Navy! It's perfect for Valentine's but also comes in 6 different colors! I have been wanting the Good Night Macaroon boots for awhile and finally got them as a Christmas present. They seriously are all the rave you hear about them, so comfy & you don't have to worry about them sliding down! They are definitely a splurge but worth it because they will last forever! They are currently 40% off making them under $100 so grab them while ya can for that price!